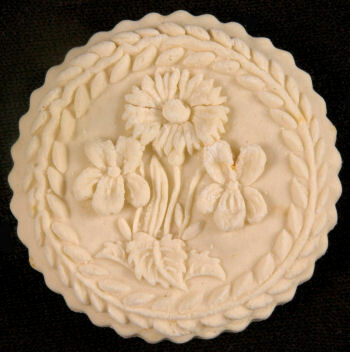 Fine Gourmet Heirloom Cookies "Exquisite Edible Art"
Springerle cookies have been historically used as betrothal tokens, tellers of tells, and to celebrate daily life. They first appeared in Europe several hundred years ago. 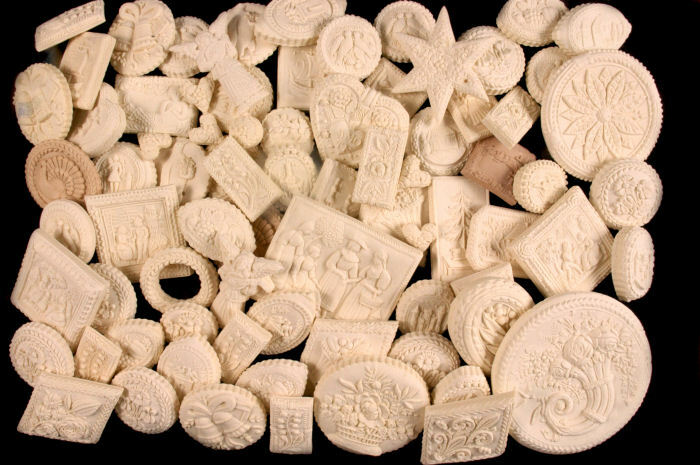 My Springerle cookies are made from replicas that were made from some of the best molds in museums from Germany and Switzerland. 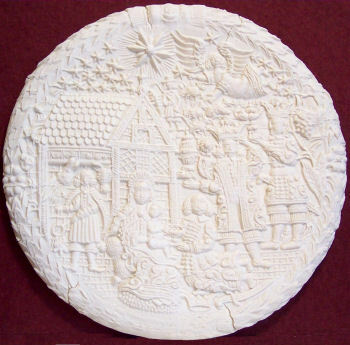 The words Fantastic, Amazing and Spectacular are a few that have been used by our customers to describe the cookie "Stuttgart Nativity". It is all in the detail that was given by the woodworker some 300 or more years ago. 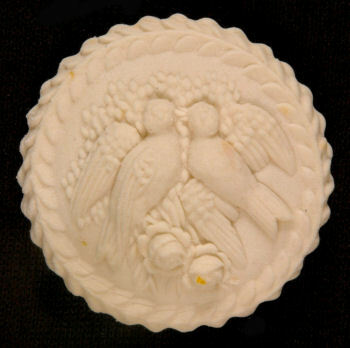 Imagine sharing a cookie that has the same design that countless others have seen before you. 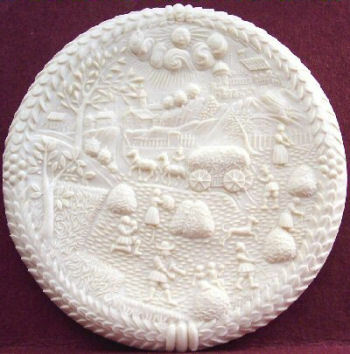 In a way, not only Edible Art but "Edible History". The most elegant of all Christmas cookies. A delight to receive and a joy to give. Cookies that will make a lasting impression. A wedding, new baby, holiday party, garden party, or just want that extra something for your event? Ask us about helping you to create something very unique. Special orders are welcomed. 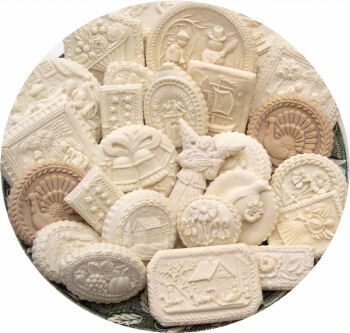 Due to the nature of these cookies all special requests need to be made at least two weeks before they are needed. In certain situations more time is required for special decorating. For a spectacular presentation edible colors can be added to your cookies. Prices for this vary according to design and size. If you are not happy with your purchase for any reason, please inform me and I will either exchange it or issue a refund to you. Your satisfaction is my goal. These three Springerle are most requested for wedding receptions. You may decide on the flavor you would like. 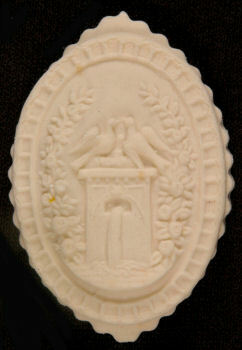 2 doves on fountain, about 1 3/4" x 2 3/8"